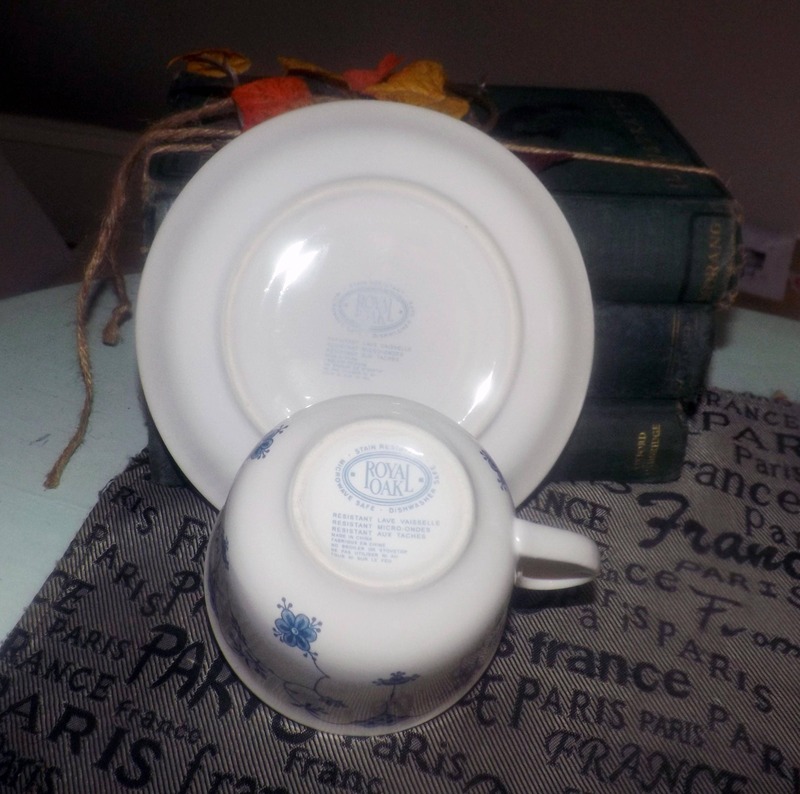 Vintage (1992) Royal Oak RLO2 blue-and-white tea set (flat tea with matching saucer). 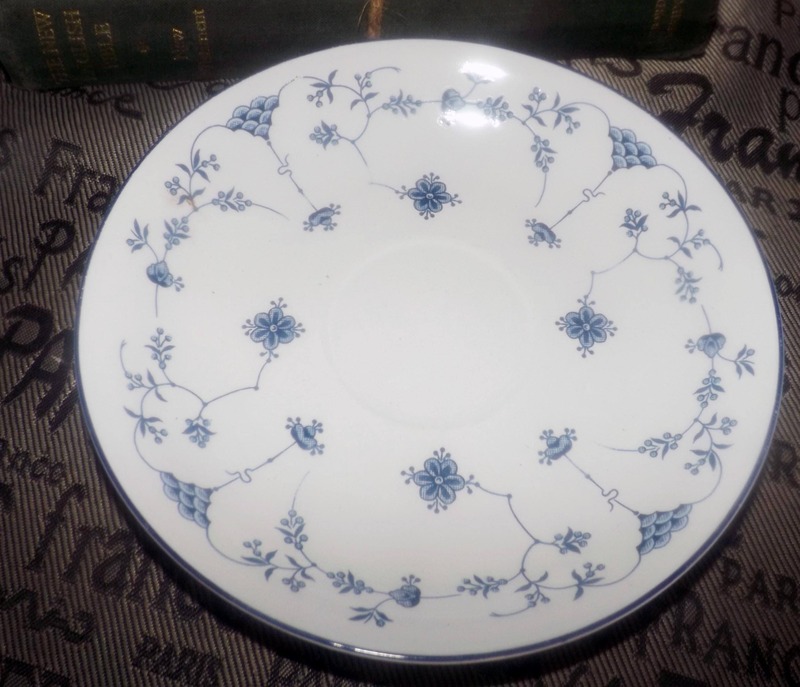 Scandinavian design, blue flowers. 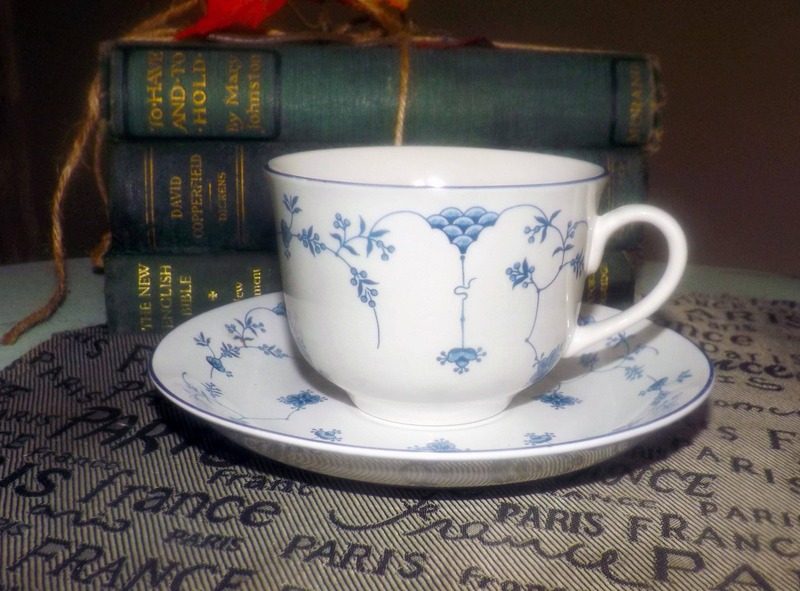 Vintage (1992) Royal Oak RLO2 pattern tea set (flat cup with matching saucer). 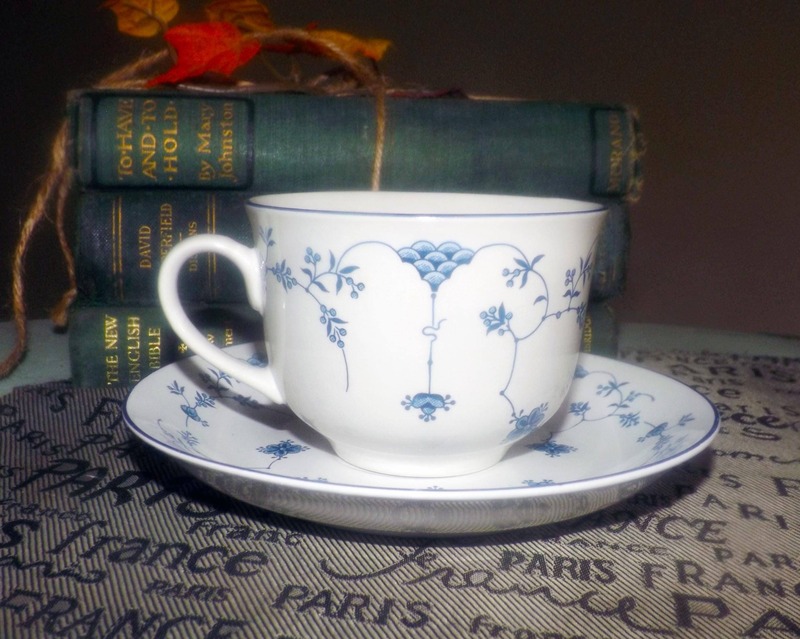 RLO2 is a very Royal Copenhagen-inspired pattern featuring blue flowers and flourishes set onto a white ground with a dark, blue edge. In EXCELLENT! condition with NO! chips, cracks, or fleabites, NO! crazing and NO! marks, stains, scratches or other signs of use or wear. 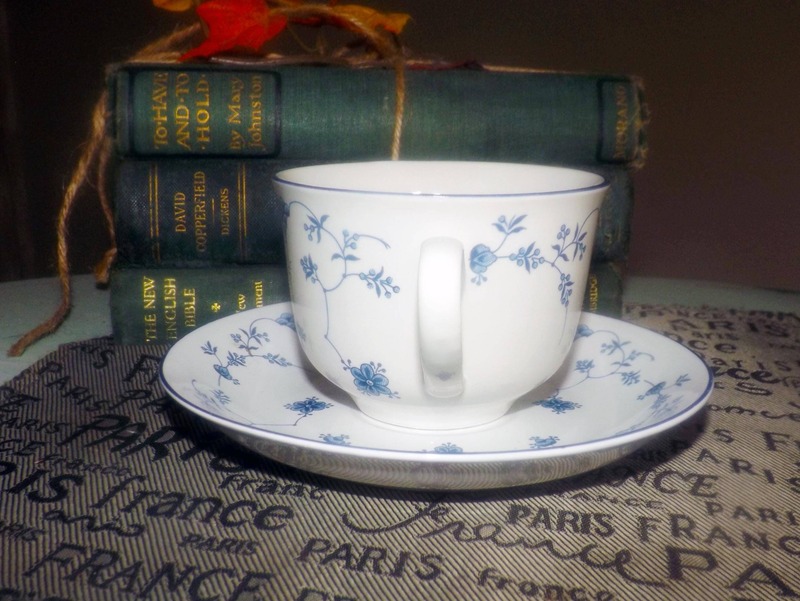 Approximate measurements: flat cup stands 2-3/4" with a 3-1/2" diameter bowl | matching saucer is 7" in diameter with a coupe shape. 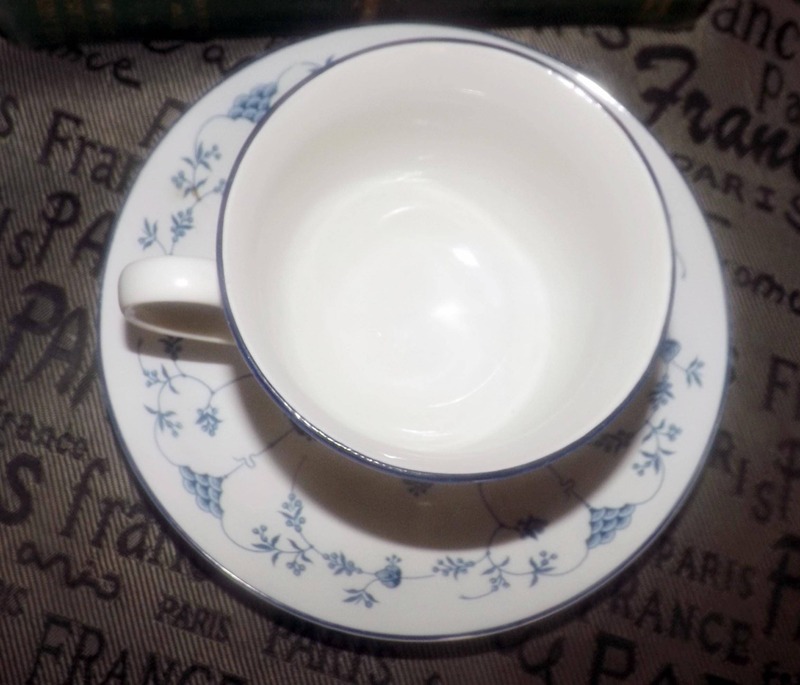 Both cup and saucer have a smooth, dark a blue edge.